Samsung showcased its YOUM line of flexible OLED displays four years ago, but it still hasn't released a foldable commercial device and it hasn’t used the term YOUM in any products. So a Korean publication shed some light on the internal struggles of the quest to achieve the ultimate phone. Back at CES 2013, Samsung showed prototypes of devices made with flexible displays but as far as a fully bendable device goes... well, it just showed a screen that can flex while retaining the image. Ever since, it has been churning out copious amounts of patents as has Apple and the Chinese that are overflowing with ideas how a bendable phone could unfold, and a few days ago there were rumors all over the Korean media that Samsung is prepping thousands of such prototypes for Q3, in order to showcase to carrier partners, and gauge their reaction. The foldable phone was then said to be prepped as a "luxurious ultra premium" device, so as to be further differentiated from the competition. It turns out that the R&D departments in Samsung Display and Samsung Electronics, which have been toying with foldable displays for a decade now, still hasn't figured out how to make a compelling device in mass quantities, and with the desired quality. In light of the Note 7 fiasco, there is even less desire for risky bets at Samsung now, tip the sources. Samsung wants to make the device very, very thin, so even when folded it would be less than 10mm. Given that the folding crease can have a minimum radius of 3mm, this means that when unfurled, the device has to be 4mm thin. That is as slim as the thinnest phone out there, and Samsung still has to cram top-notch internals in there, if it is shooting for the ultra premium market. Then there is the issue with durability - tougher materials are harder to bend, and vice versa. Just one small example - the adhesive that manufacturers use to attach the screens to the chassis, has to be very, very flexible and durable so as not to give in after hundreds or thousands of bending actions, or a new approach will have to be developed for attaching, and so on. There have been models with Samsung's contoured Galaxy Round and LG's G Flex and G Flex 2 phones from a few years ago. But there's more to this even than shape-shifting smartphones. 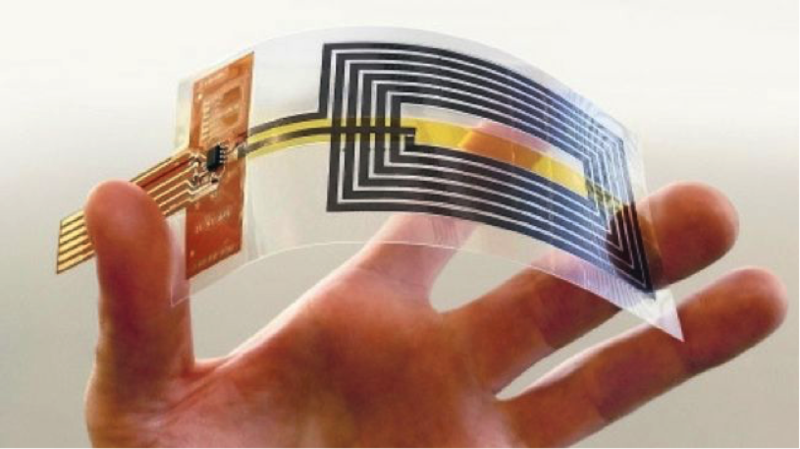 In fact, so many prototypes of flexible TVs, wearables and watches are emerging that it now seems certain we're on the cusp of a flexible future. So who will unveil the first truly flexible product? Not surprisingly, flexible displays are likely to come first from South Korea, and the smart money is on either LG or Samsung. LG demoed its 65-inch Flexible Open Frame OLEDs at the ISE 2017 event in Amsterdam in February. 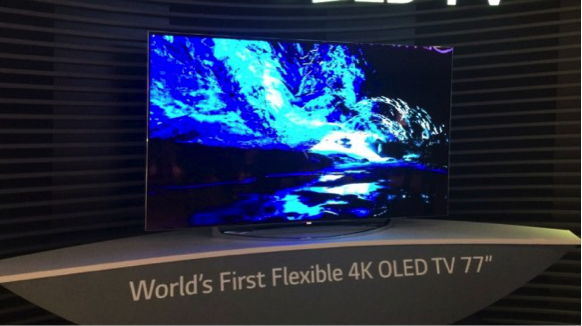 The Flexible Open Frame OLEDs (4K resolution) can be bent into either convex or concave shapes to fit any environment. 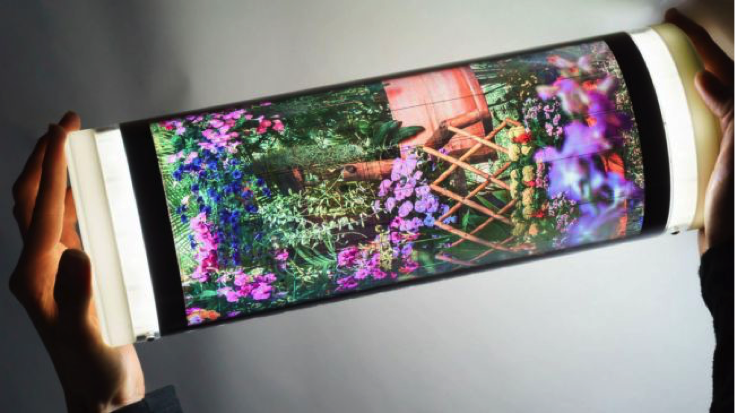 Flexible OLEDs are, for now, being sold as visual experiences to advertisers. LG Displays has also shown off its rollable, flexible and even transparent panels and tablets before. But they are largely proof-of-concept displays. 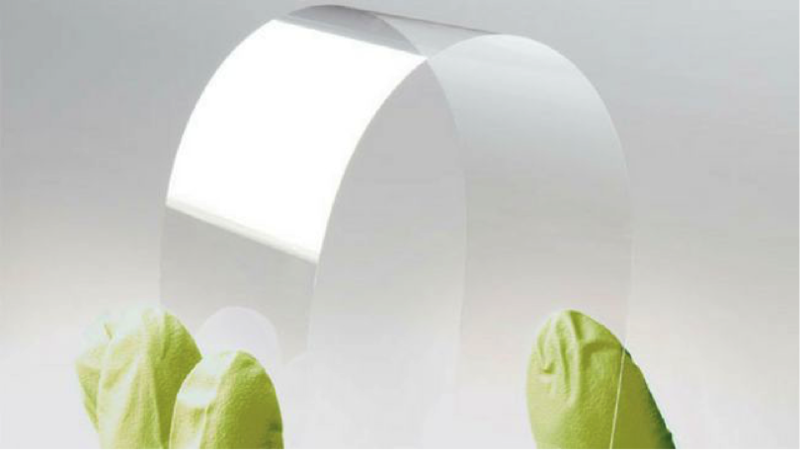 Terms like bendable and foldable are used interchangeably when discussing flexible displays, but they're drastically different. A bendable display is the least ambitious; it simply flexes between your fingers. Such displays are what have arguably already been created but they are not on sale yet. China's Royole recently talked up its 0.01mm-thin FlexPhone that bends enough to wrap around a wrist. Samsung is reportedly working on a foldable phone –called the Samsung Galaxy X – that uses some kind of hinge. It is based around Samsung's AMOLED display tech. It is possible to make LCD displays flex, as shown by JDI, but OLEDs don’t need backlights or spacers. Although it seems unlikely to happen before 2018, LG seems intent on producing what it calls 'out-foldable' OLED displays for Apple, Google and Microsoft. However, LG could choose to focus on making displays for its own products if the LG G6 manages to resurrect its smartphone business. “The next stage is when the user can roll up a screen and carry it around, which may have business applications”. One example might be in industry and engineering, where a mechanic has to go onto an airplane or into a factory to fix a problem, but needs to consult vast manuals. Making a display bend, fold or flex means using completely new components with some 'give' in them. Moving away Gorilla Glass for phones like the Sony Xperia XZ Premium, Corning's new Willow Glass is ultra-thin and flexible, but Willow Glass will bend but not fold. Customers are seeking the conformability, robustness and thinness requirements in new applications across many sectors including automotive, consumer electronics and wearables," said Chuck Milligan, CEO of FlexEnable. The company is working with display manufacturers in Asia to support the transfer of its OLCD platform into conventional flat panel display lines. At the same event, FlexEnable also showed off the latest version of its wearable, 0.3mm-thin, 4.7-inch OLCD as a smart watch – although it could just as easily be a phone and FlexEnable also showed a flexible, plastic e-reader. Components like RFID chips and WiFi receivers can now be printed using graphene inks. Even stretchable OLED circuits are on the horizon; researchers from Michigan State University (MSU) recently developed a stretchable circuit that includes an OLED display, using inks to produce the circuits, the substrate and the organic elements. The scientists claims that the breakthrough could make the costs of producing flexible electronics as low as that to print newspapers. By turning to flexible, even printable components, portable electronics of all kinds could be about to smash through their glass ceiling and embrace a plastic future. An earlier leak tipped a Q3 or Q4 Samsung Galaxy X release and a 4K display for the device. That has left the field wide open for talented concept designers to create their ideas for how the phone could look. 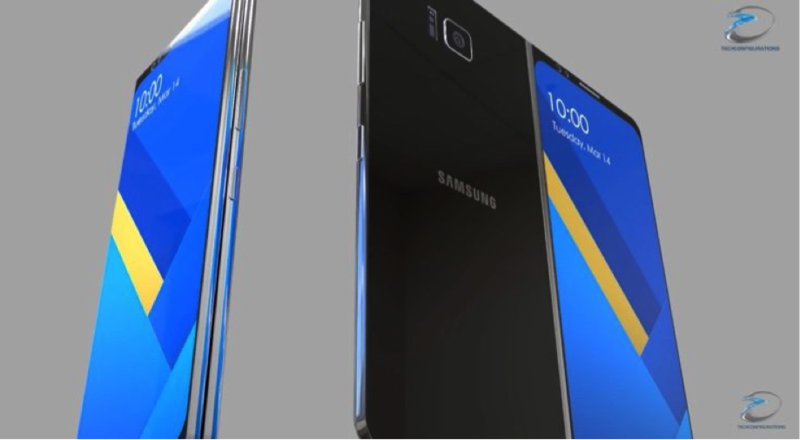 The foldable Samsung Galaxy X concept comes from TechConfigurations and was inspired by the leaks so far. We wonder how close this could be to the real deal when it finally arrives, and this is certainly enough to get our mouths watering. The phone is stylish enough when folded but really comes into its own when unfolded into tablet mode. This handset is clad in metal and glass and it has some really nice design touches. We rather like the fact that when folded it has a straight edge on one side with a gently rounded edge on the other. Of course when unfolded this means it has rounded edges on all four corners. It has an ultra slim design that’s 7.5mm thick when folded or just 3.25mm thick in tablet mode. The designer of the Samsung Galaxy X, has provided what they think could be included. When folded the phone has a 5-inch AMOLED display with QHD resolution. Alternatively when unfolded it has a 7-inch AMOLED display with 4K resolution. It packs a Snapdragon 835 processor with Adreno 540 graphics. It comes in 6GB or 8GB RAM options as well as 64GB or 128GB of internal storage. The smartphone has a 12-megapixel rear camera module featuring OIS, PDAF, and 4k video capture. Meanwhile at the front it has an 8-megapixel sensor with ultra wide-angle lens. The device includes a display integrated fingerprint scanner, wireless charging, and iris scanner, and offers the Samsung desktop experience. It also features intelligent speaker placement to ensure stereo output in both smartphone and tablet modes. It almost goes without saying that the device is dustproof and waterproof to IP68 certification standard.